These organizations allow you to help those in need by using your mapping skills. Get started learning how you can help right now! This site provides step-by-step instructions to help volunteers like you learn to map and get involved in humanitarian initiatives. There are lots of ways to volunteer with HOT, including mapping, validation, and contributing a key skillset you have such as supporting material creation, or helping develop and maintain their tools. Operating under the auspices of URISA, GISCorps coordinates short-term, volunteer-based GIS services to underprivileged communities. Our services include finding qualified GIS volunteers for short term projects and establishing partnerships to create volunteer opportunities for the GIS community. Projects vary based on the partner agency’s need and may involve any and all aspects of GIS including analysis, cartography, app development, needs assessments, technical workshops, etc. Areas of service include humanitarian relief, disaster response, conservation, environmental quality, health and human services, GIS education, and expert crowdsourcing. GISCorps is supported by individual donations, corporations, and other non-profit groups with similar goals. Humanitarian organizations can't help people if they can't find them. MapSwipe is a mobile app that lets you search satellite imagery to help put the world's most vulnerable people on the map. 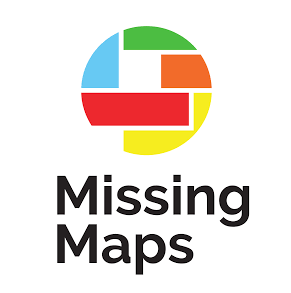 MapSwipe is part of Missing Maps, a collaborative project in which a large and committed community of NGOs, academic institutes, companies, and most of all individual mappers, map vulnerable areas in OpenStreetMap. 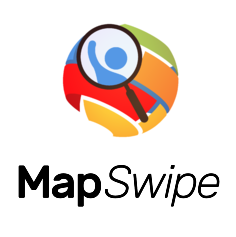 By using MapSwipe to identify where communities are located, you also give these mappers the ability to use their talents to map the towns and villages in these areas without having to search through miles of jungle and bush to find them, saving time and helping to put valuable data into the hands of field teams even faster. When disasters strike, which area has been worst affected? Where are the most vulnerable people? What has happened to roads, railways and communication networks? Where are medical supplies and where are they needed most?